Succeed at free-motion quilting on your domestic sewing machine. Starting with the basics, from selecting the best needles and thread, basteing your quilt and setting up your machine and workspace for free-motion fun. Find out how to achieve a consistent stitch length and troubleshoot any issues. 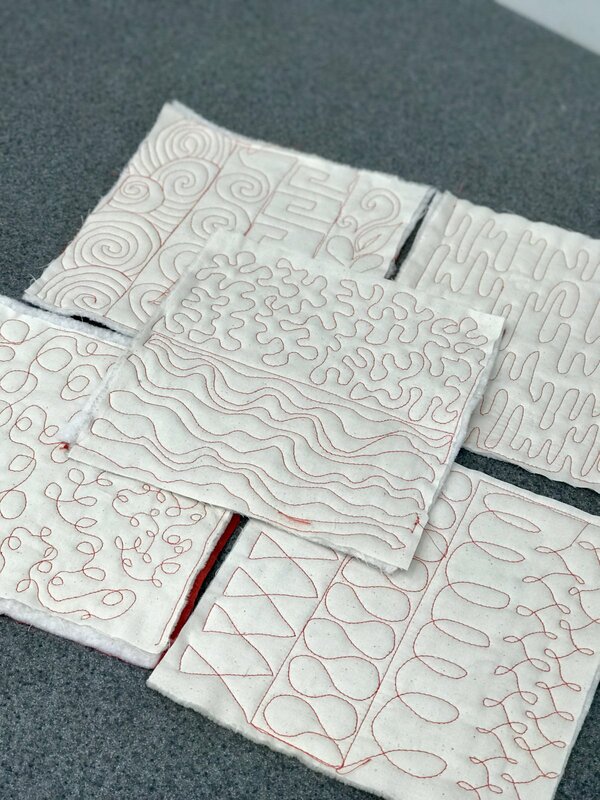 Plus, we will guide you through a variety of non-linear and linear designs such as stippling, woodgrain, ribbon candy, swirls/waves and much more! Master free-motion fundamentals to create beautiful quilt projects that look and feel finished. Please note by registering online our website charges shipping when going through PayPal. This is a glitch we are working on and will promptly refund the shipping charges upon registration.